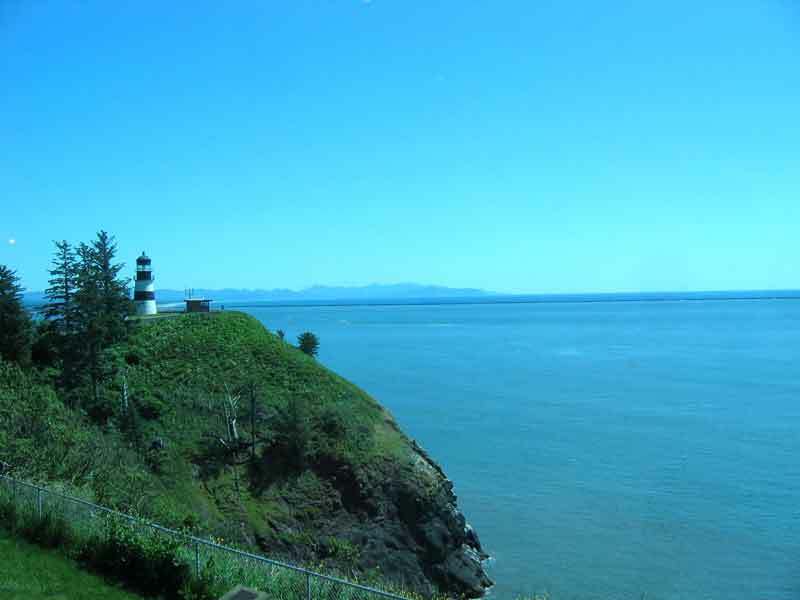 We are heading up the Oregon coast and when we get to Astoria we will back track a bit to Portland where we are going to see the sights there while Camping World installs a new awning on our coach. We camped overlooking the Salmon Harbor Marina which is at the mouth of the Umpqua River. This is a very pleasant place to be, with several things to see and do, including walks on the desolate beaches. 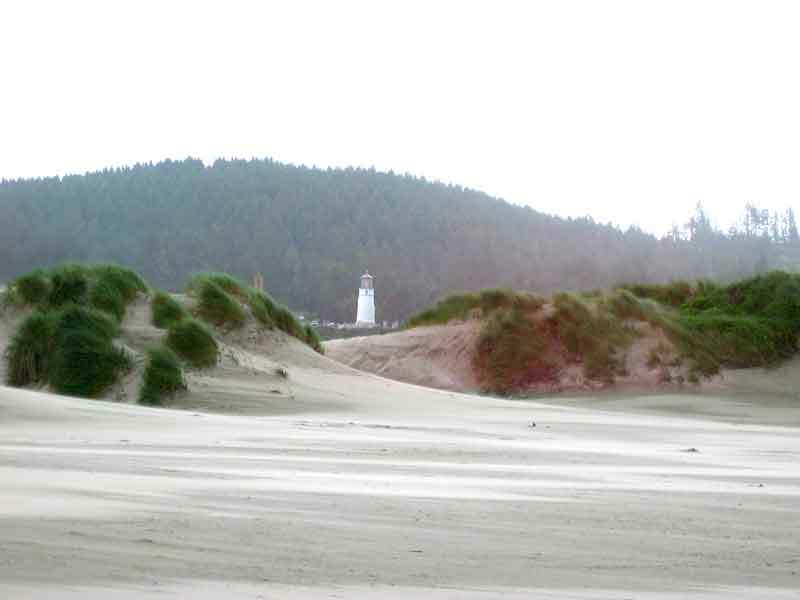 This is the center of the Oregon Dunes country where you can ride ATVs or do some sandboarding. 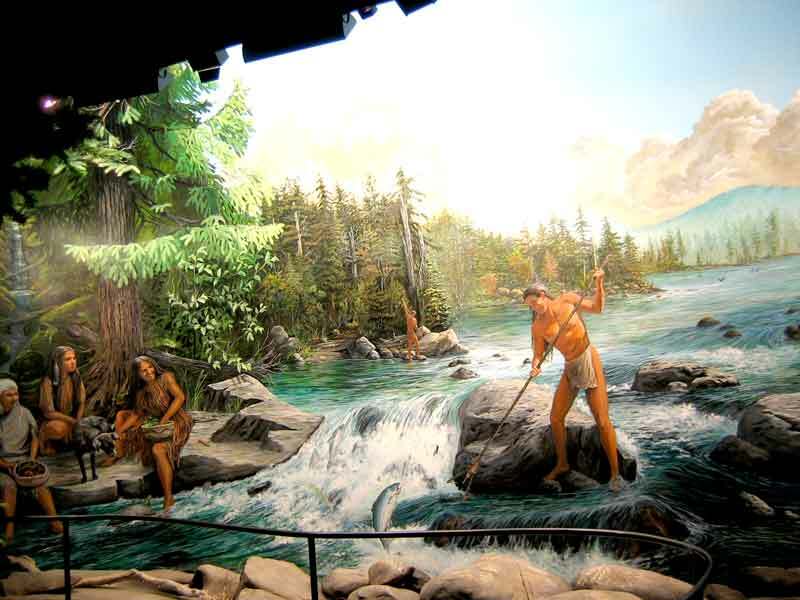 A few miles to the north is Reedsport where they have a really well done Umpqua Discovery Center. 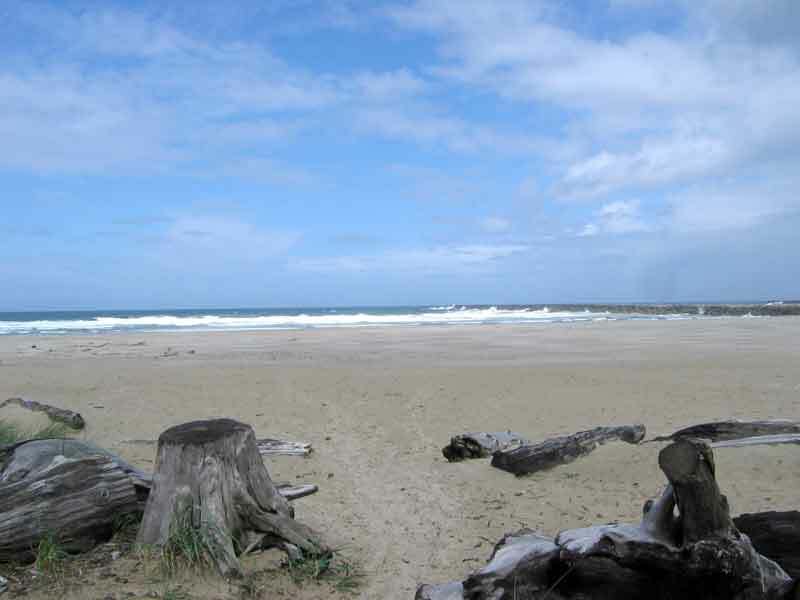 About two hours north is Newport which has a great aquarium and between is Yachats where the Adobe Resort has a dining room overlooking the sea, a nice place to have breakfast or lunch. 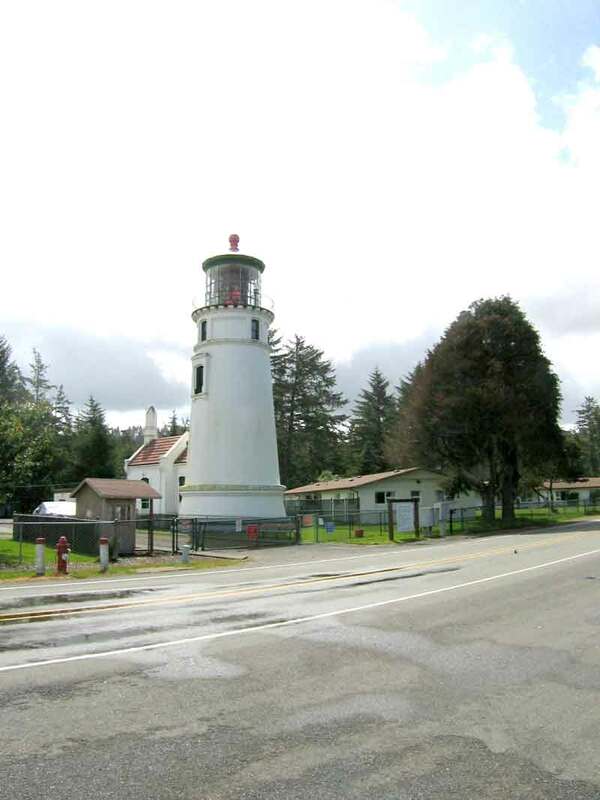 Left: The Umpqua River Lighthouse is still operating after 100 years of service. 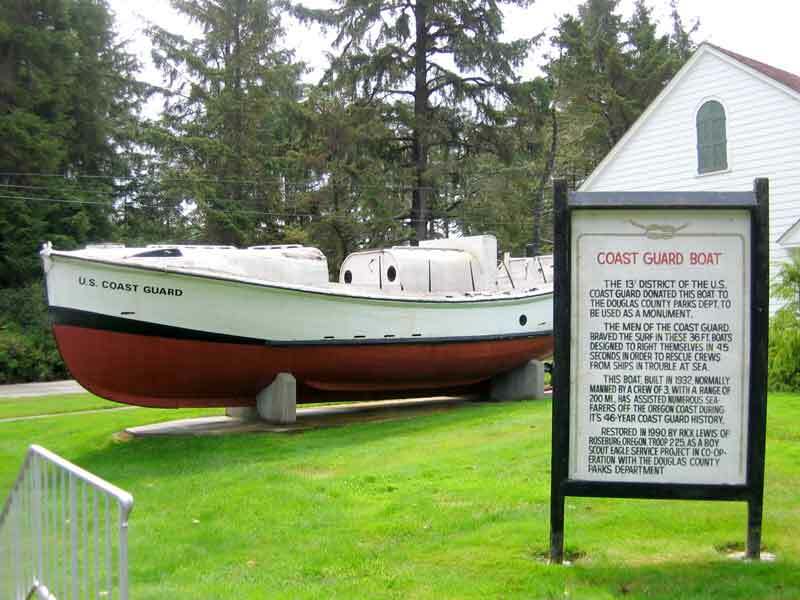 Right: One of the old style, self righting, Coast Guard rescue boats. 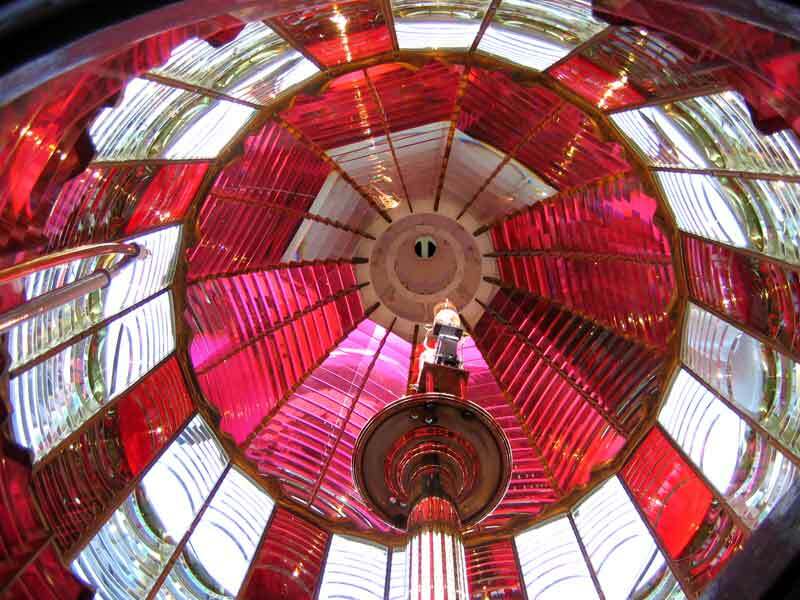 Left: Inside the 2 ton, 1st order (the largest size), fresnel lens. Originally, it was lit by kerosene, and now, by a halogen bulb. Right: Outside view of the lens built in Paris in 1890. 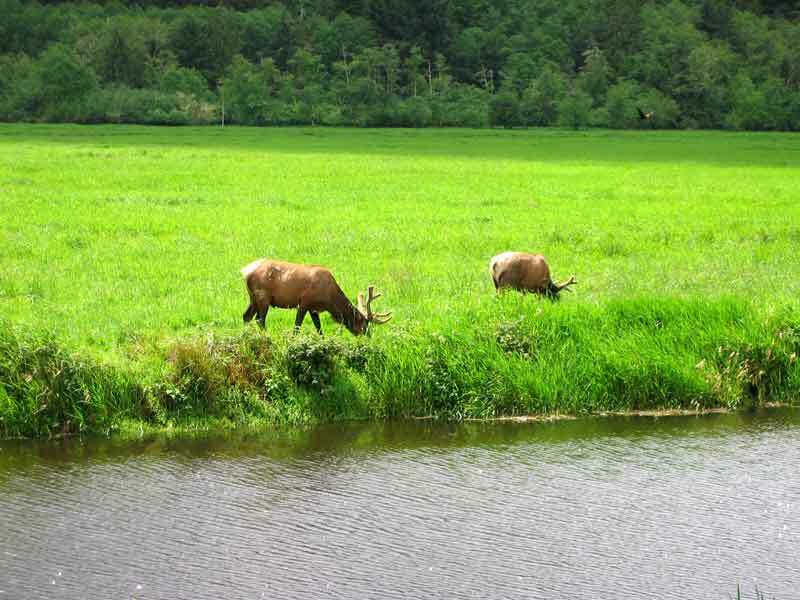 Right: Elk near Reedsport on Hwy 38. There are several viewing stations a few miles from town. 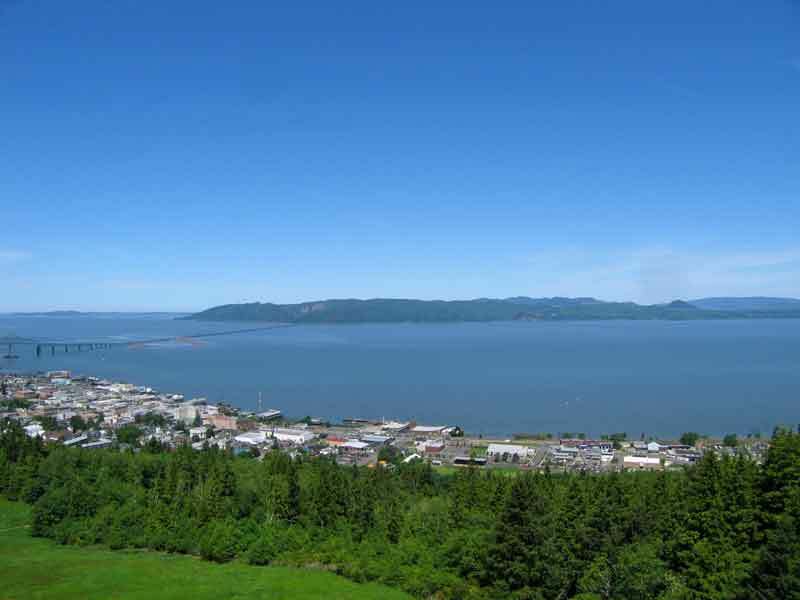 Astoria is located on the south side of the Columbia River where it enters the ocean. This is where the Lewis & Clark party finally reached the Pacific Ocean. 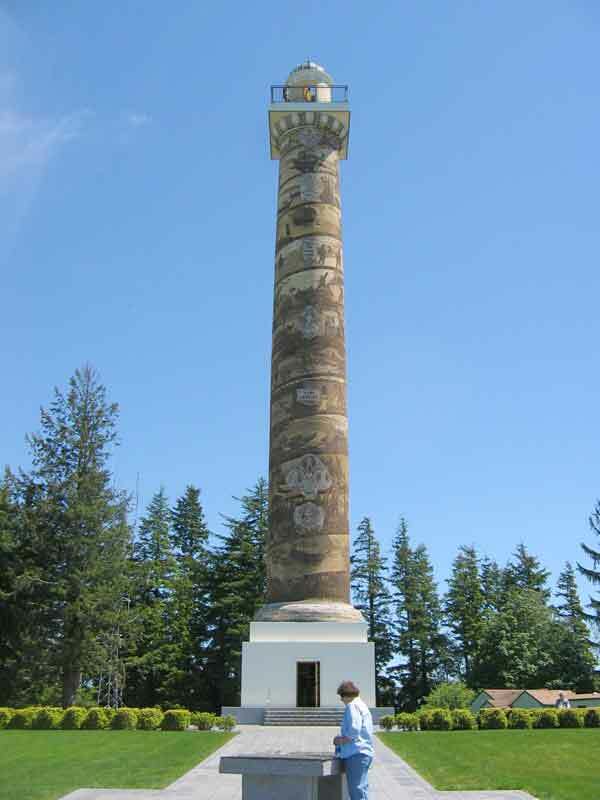 The Astoria Column pictured to the left depicts the history of this area, from the time of the Clatsop and Chinook Indians to the time the railroad arrived in 1893. This is all carved in "cartoons" that spiral up its 125 foot high column and ends with the State Seal of Oregon at the top. 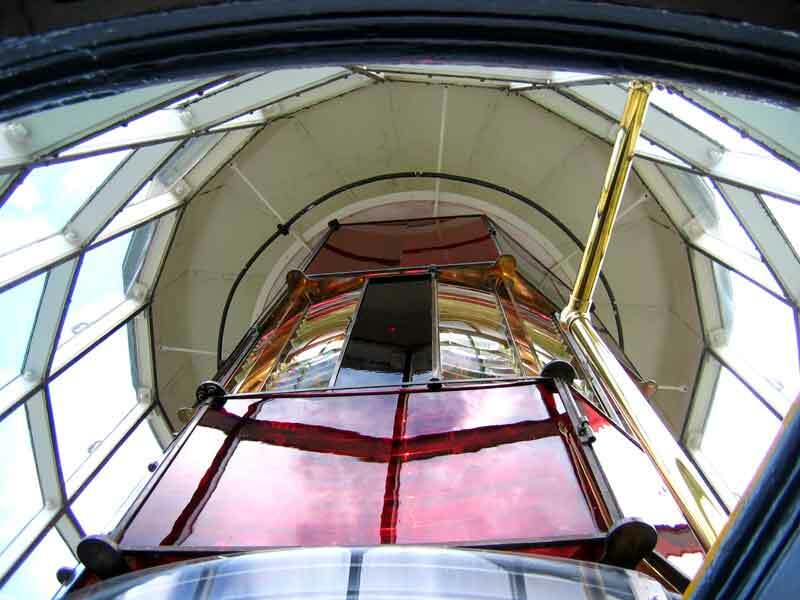 It stands at the top of Coxcomb Hill and overlooks the entire area and the view is well worth climbing the 164 steps to the top. It was finished in 1926 and was a joint effort of the Great Northern Railroad and Vincent Astor. From the top of the column you can see across the Columbia Bar to Desperation Point. This is one of the most treacherous bar crossings that exists during times of high storm activity. There is a great exhibit that describes this and the maritime history of this area at the Columbia River Maritime Museum. A drive across the bridge to Washington takes you to the Desperation Point Interpretive Center where there is a complete chronology of the Lewis & Clark Expedition. It is very well done and is worth the drive if you have the time.